Bed bugs can hitch a ride home with you from movie theaters, airplanes, taxis or hotel rooms. Arriving undetected, they multiply quickly, feeding on you while you sleep. These unwanted tenants are notoriously tough to evict. Beating bed bugs can feel overwhelming and stressful. don’t go it alone. We are exports at destroying bed bugs and their eggs, which can lurk in bedding and clothing. Our powerful, proprietary laundry cleaning system uses organic detergent that is highly-effective, yet safe for humans and pets. All items are returned to your door clean and pest-free, with our 100% satisfaction guarantee. Keep your vehicle free of pests with our fast and reliable laundry pick up service. We carefully inspect each and every garment. This helps us determine how many times each item may need to go through the cleaning process. We sort each article by color, taking special care to separate items that are delicate or dry clean only. All items are barcoded for traking, so we can monitor each piece throughout the process. No lost laundry on our watch! We thoroughly wash all garments with a non-toxic organic detergent that eliminates bed bugs and their eggs without the use of harsh or damaging chemicals. Each piece is again ispected by hand. If we see evidence that bed bugs are still alive, we repeat the cleaning process, and inspect again. We won’t dry any items until we are sure it’s bug free! Each piece is again inspected by hand. If we see evidence that bed bugs are still alive, we repeat the cleaning process, and inspect again. We won’t dry any item until we are sure it’s bug free! All items are hand-inspected to be sure the process is complete. In rare cases when a garment needs to be retreated at this stage, we do so at no additional cost to you. All items are neatly folded and sealed in high-density, polyethylene bags that are 100% recyclable. This ensures freshness and prevents contamination from external dirt, dust and debris. All items are returned to your home bed bug free – guaranteed! the results so you don’t have to! 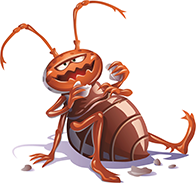 Bed bug cases have been on the rise over the last few decades. Their favorite place to live and breed is near your bed, but they can also take up residence in other furniture in your home. It takes only 35 days for a bed bug to mature into an adult, and they can live for up to a year. In the meantime they’ve produced anywhere from 300-500 eggs. While you sleep, they find you by detecting the carbon dioxide you exhale when you breathe. They come out (often at night), and feast on your blood for about ten minutes at a time. If this makes you think, “Ewww!” you are not alone. It is especially unsetting that bed bugs invade our most private spaces – often our bedrooms, where we retreat to relax and recharge from our busy days. Bed bugs can be your worst nightmare. They can leave you feeling violated, overwhelmed, and just plain grossed out. We hope you never have to deal with bed bugs. But if you do, we are here to help. Here are some top tips for handling your clothing and bedding when you’ve discovered bed bugs in your home. Your initial instinct may be to burn everything you own and start over. While a great excuse for a shopping spree, this is neither cost-effective or necessary. All of your bedding and your clothes, even your delicates, can be effectively treated to kill bed bugs and their eggs. We hope it’s us, but even if it’s not – cleaning laundry that’s been infested with bed bugs is best left to the experts. If not done properly, you can kill some but not all of the bed bugs, which defeats the purpose. You can also spread bed bugs via your washer and dryer to other items in your wardrobe. Pack your bedding and laundry in well-sealed plastic bags. This is to prevent the spread of bed bugs as you carry your laundry to wherever it’s going to be cleaned. We can’t emphasize enough how important this is! 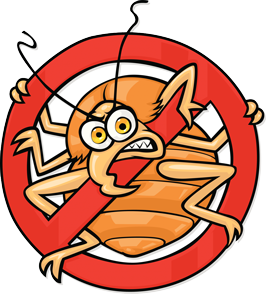 Don’t let an infestation in one room spread throughout your entire home. Consider packing your dry clean and delicate items separately. If you work with us, we’ll inspect and sort all of your items for you. However, sometimes “delicate” is subjective, and we can’t read your mind. We may not realize that sweatshirt from college is your most prized possession and worthy of white glove treatment. Be honest with your laundry service. Always alert your laundry professional that you have bed bugs. Remember, this isn’t your fault. Even the ritziest homes in the best neighborhoods can experience bed bug outbreaks. We are here to help. Honesty will ensure that your laundry is not just cleaned, but treated specifically for bed bugs. Otherwise, items may be returned to your home with bed bugs or their eggs still living in the material. Bed bug infestations are best treated early, while they are relatively contained. Call a professional extermination service that specializes in bed bugs. And of course, trust us to tackle the bed bugs that linger in your bedding and laundry.